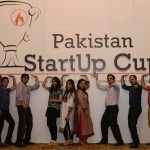 The United States Mission and TiE (The Indus Entrepreneurs) which is a nonprofit network of entrepreneur launched the Startup Cup 2017 in Pakistan for entrepreneurs who have new and innovative business ideas. The Startup Cup competition 2017 will occur in Karachi, Lahore, Islamabad, and Peshawar. Pakistan Startup brings opportunities for entrepreneurs to take any type of business idea to market and generate revenues as fast as possible.It is an intensive four-month business competition for aspiring entrepreneurs. “The U.S. Mission in Pakistan offers a range of programs to support Pakistani entrepreneurs as they pursue their business dreams,” said American Embassy Cultural Affairs Officer Arlissa Reynolds. Startup competition is helping entrepreneurs from any background to refine their business models and take their imaginative ideas to reality. Entrepreneurs with innovative and creative business ideas are highly encouraged to apply in this competition. Startup Cup 2017 has played an important role in offering entrepreneurship women empowerment. Women are highly encouraged to apply in this competition. Proper and professional mentoring and coaching is provided by the experts throughout the competition. Experts and professionals will mentor the entrepreneurs and help them to refine and polish their entrepreneurial ideas. Participating in Startup cup 2017 entrepreneurs will learn what brings more customers and revenues and how to turn their ideas into a viable business. Pakistan Startup Cup has been declared one of the best competition that supports entrepreneurs all over the world because it provides opportunities for aspiring entrepreneurs to generate revenues from the idea. The prize money for winning the competition is 2.25 million. The deadline for submitting Startup applications is September 20, 2017.